Based in Atlanta, Maxine Taylor is a true visionary with over fifty years of experience in spiritual work. She is an internationally-known astrologer, energy healer, spiritual coach, teacher, speaker and published author. One of Maxine’s greatest gifts is the ability to awaken people to the truth of who they are and empower them to transform their lives. Maxine was born in Brooklyn, where she spent her childhood. When she was fifteen, she moved with her family to Miami Beach and completed her high school education at Miami Beach Senior High. As a result of being part of an advanced educational program in New York, she was able to fast track her education and graduate from high school a year early. 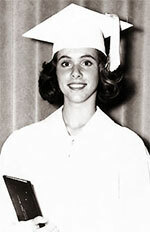 She went on to attend the University of Florida in Gainesville, where she joined the Delta Phi Epsilon sorority. 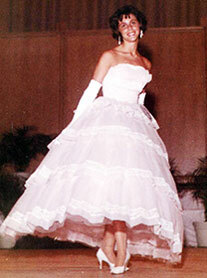 Maxine participated in several of the university’s beauty pageants during her time there and was a finalist in the 1962 Miss University of Florida contest. After obtaining a Bachelor of Education degree in 1964, Maxine moved back to Miami Beach and taught for two years at Miami Senior High School. In 1966, Maxine moved to Atlanta, where she had a “chance” meeting with a student of astrology. The student told Maxine all about herself (Maxine) based solely on her astrological sign. This intrigued Maxine and prompted her to learn more. Unknowingly, astrology became the introduction to what would become her life’s work. Shortly thereafter, Maxine joined a group led by an Episcopal priest that met weekly to explore spiritual and psychic areas. The members of this group became the founders of the Atlanta Institute of Metaphysics, where Maxine would later teach astrology for several years. In 1969, Maxine decided to pursue astrology as a career, but it was considered fortune telling in Georgia. “Since astrology is not fortune telling,” she notes, “I wanted to distinguish it legally and give it dignity. So I met with the Cobb County Commissioners, who granted me the first license to practice astrology in the State of Georgia.” As a result of her pursuit to legalize astrology, Maxine became America’s first licensed astrologer. It had been a long Tuesday afternoon, full of sewer-angry and water-angry and highway-angry people and the clock on the wall showed nearly 5 p.m. when the girl walked into the Cobb County Commission meeting. Everybody looked, because she was the kind of girl people look at–pretty, with a young air about her straight, short black hair and gray dress, and an absolutely self-confident thrust to her chin. The Atlanta doctor, who had been talking about the Metropolitan Atlanta Council for Health, continued for awhile until the commission politely told him to go away, they’d make a decision later. “It’s astrology, Mr. Barrett,” White told him cheerfully. “This is the girl who wants a license to practice astrology in Cobb,” he explained to the commissioners. “She requested a personal hearing.” Barrett said. Commissioners Harry Ingram and Thomas Brown immediately volunteered as test subjects. She is nothing like a fortune teller, Miss Taylor explained. “I’m a teacher — I’ve taught for six years. I do this as a hobby and I don’t charge anything. Continuing in a rush, she said, “It takes 10 hours to work up a chart, then I have to spend about two hours explaining it. “Can you tell me what day of the week to kill hogs?” Commissioner Dickson asked. “I move we create a license for astrology,” Ingram said. “Will you be my first customer?” Miss Taylor asked. “What are you basing that on?” one of the commissioners asked. “On the basis of what she’s going to charge, percentage wise,” he said. “What are you going to charge?” another commissioner inquired. “That’s pretty cheap,” Brown said, and Commissioner E.P. Ellison agreed. “Note that she made that offer after the motion had been made,” assistant county attorney Grant Brantley said. “I move we don’t charge her for the balance of the year,” Dickson said. White and the commissioners discussed for a few minutes whether she should be charged anything for the rest of 1969 and what the 1970 fee should be. “If she keeps on, they’re going to wind up just giving her the license,” somebody said out loud. Finally, Ingram moved that the license be issued for the rest of 1969 at $10 and the 1970 fee be taken under advisement. The vote was unanimous. Barrett cautioned her that she is being issued a privilege license which could be withdrawn at the commission’s discretion. She said she understood and rose to leave. “Young lady, you did very well,” Barrett told her. Subsequently, Maxine had a bill introduced into the Georgia General Assembly to legalize astrology in the City of Atlanta. In 1970, the bill was passed and signed into law by then-Governor Lester Maddox. This historic event made Atlanta the first city in the country to license the practice of astrology. Maxine continued to make history by spearheading the establishment of the Atlanta Board of Astrology Examiners and, in 1977, opened the first astrology office in the upscale Buckhead business community of Atlanta. She was one of the founders of the Atlanta Astrological Society and currently serves on the Board of Directors of the American Federation of Astrologers. Maxine appeared regularly on CNN as its on-air astrologer for the first two years after the cable news network’s inaugural debut. She was subsequently interviewed as a guest on The Larry King Show and featured on all the major networks at the time. As CNN’s former on-air astrologer, Maxine is asked periodically to return to CNN’s recording studios as a guest astrologer. Her most recent appearance was in January 2010 to dispel the controversy and confusion over the two zodiacs. Due to Maxine’s international recognition, the nation of Hungary contacted her shortly after the fall of its communist regime in 1989 and asked her to do a forecast for the country. This extraordinary reading was broadcast live over Hungary’s only radio station in Budapest and then published in the country’s leading newspaper. Maxine is an ordained minister who has evolved spiritually over the years, as well as professionally. In 1979, she learned a method of emotional healing that identified childhood programming and how to release it. This gave her a broad understanding of human nature and laid the groundwork for her future life-transforming classes, webinars and her Amazon #1 best-selling book, Move Into the Magic. Maxine’s interest in energy healing led her to study Reconnective Healing® with Dr. Eric Pearl, author of The Reconnection, an international bestseller. She went on to study Matrix Energetics with Dr. Richard Bartlett, best-selling author and founder of the powerful Matrix Energetics®. This exploration into the world of healing inspired Maxine to develop her own unique healing technique in 2008, which she calls Star Matrix. Today, Maxine uses all of her training, experience and insight to assist her clients to move beyond their perceived limitations, rewrite the story of their lives and express their highest and best selves. Besides her private astrological practice, Maxine presents astrology and personal transformation workshops designed to instantly move her students forward. 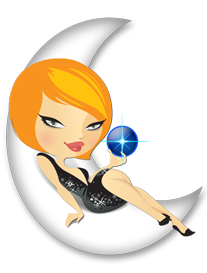 “The Babe On The Moon” made her debut on Maxine’s website in 2008 and has since been found on subsequent websites and promotional materials. She is a nostalgic tribute to Maxine’s illustrious past, as well as a depiction of her whimsical side. Maxine’s claim to fame was getting astrology legalized in the Bible Belt city of Atlanta in 1970, a time of political upheaval and social unrest. As a result of this stellar accomplishment, she brought astrology not only into the mainstream but into the limelight. She published several books, produced workshops for large, national retail chains and appeared in all forms of media. Maxine became a “media darling”. Not only was she pretty, popular, funny and direct, but her predictions were amazingly accurate. One of these predictions, published in The Wall Street Journal, detailed a successful comeback for Chrysler. ATLANTA – You’re gonna make it, Chrysler Corp. But not because of your cars. It’s your stars. So says professional astrologer Maxine Taylor, who is paid, but not by Chrysler, which has trouble enough paying the regular help, to tell the future of careers, securities speculations and business ventures. Tweedy Miss Taylor casts Chrysler’s horoscope for free, cautioning that “transiting Uranus opposes natal Mercury” in Chrysler’s 12th house of “behind the scenes activities,” clearly foretelling internal reorganization between now and April. But by July 31, Chrysler’s balance sheet will start to shape up.